A great way to increase the worth of a home is to revamp a room in the house. A bathroom renovation may be just the thing your home needs to accentuate it and later down the road it will be a valuable investment if you ever decide to sell. Bathroom remodeling Los Angeles upgrades are especially essential in the high-end real estate market. Of course there are certain aspects of remodeling your bathroom that will bring the most value to your Los Angeles home and Big3 Construction is here to help you with that. Massaging spa bathtubs are among the top most popular amenities to add to a home’s master bathroom. In this kind of tub you can have a deep relaxing soak or a bubbly whirlpool experience all without having to step foot outside into a Jacuzzi and then having to come back in to shower off the chlorine & other chemicals needed to maintain it. Another fun thing to do that is not quite as immaculate as a whirlpool bath, but is certainly classy, is the old-fashioned bathtub – simple, yet stunning. If you only have room for a stand-up shower, a favorite design is glass-door with stone or marble tile floor and walls. And of course having a rain-style showerhead will give you the ultimate feeling of being in your own personal spa oasis. 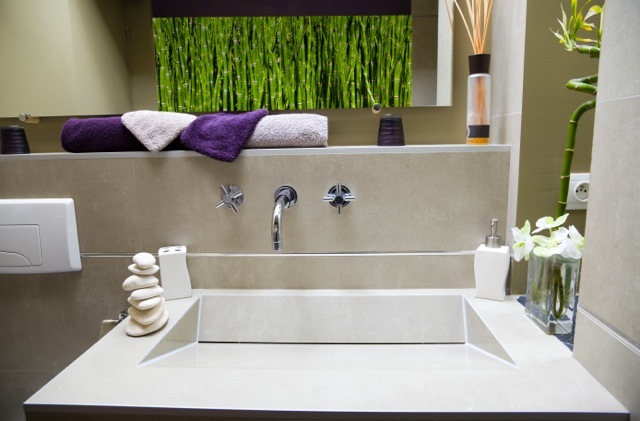 The right sink for your bathroom is another major decision for your bathroom renovation. General contractor Los Angeles professionals at Big3 Construction can help you make the best decision on what would be the most aesthetically pleasing when it comes to the style you are trying to achieve. One type of sink to consider that is in a high trend right now is a vessel sink. No matter what style of vessel sink you choose, it will add instant elegance and dimension to your bathroom. From glass, to marble, to wood and classic porcelain, a vessel sink can add beauty and grace to the bathroom counter with a faucet to match. Hopefully you now have some good solid ideas to begin with as you consider your bathroom remodel. Although you may not be looking to sell your house anytime soon, it is important to keep your home feeling up-to-date with newly inspired ideas and projects. A freshly remodeled room in the house always makes you feel good about where you live, and your guests will appreciate it, too! The contractors at Big3 Construction can help you decide on what might be the best way to upgrade your home according to location and what style of home you have.